In 1987, a group of women from diverse business and professional backgrounds met to discuss the possibilities for developing a networking organization. After defining initial goals and objectives, the core group invited other women to join the endeavor. The first formal meeting of Coastal Women's Forum was held in the spring of 1988. Membership has grown steadily and continues to grow. The organization today attracts women from a variety of professions and occupations. 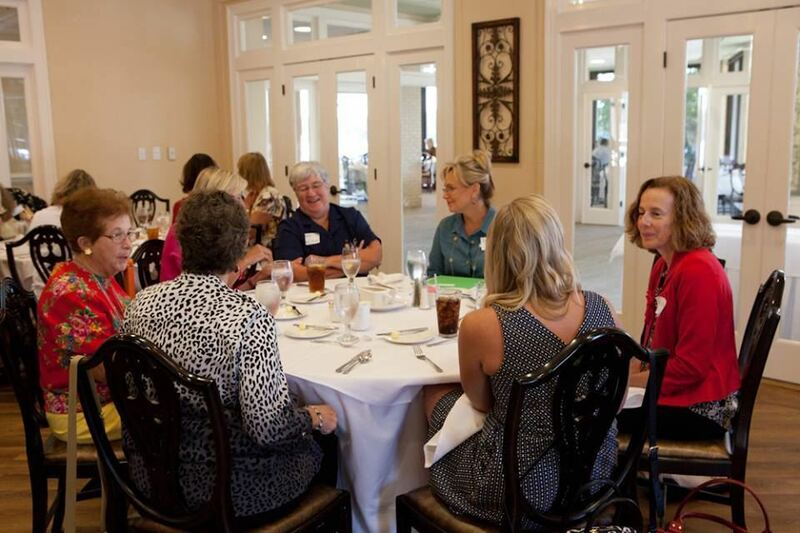 Coastal Women's Forum is an organization that provides women with business and professional networking opportunities. With monthly meetings offering dinner or lunch venues, we can accommodate busy schedules. Dinner and lunch programs offer a variety of speakers on local and regional interests. We promote self-development through our programs, presentations and discussions on business related topics. To support members in the form of personal business interaction which is invaluable. It promotes better understanding of the dynamics of women in the business and professional world, and their individual places in the community. Programs, presentations and round table discussions, often conducted by members, foster both personal and professional self-development. The collective expertise of the Coastal Women's Forum represents a valuable resource for each member. Business meetings, social events, monthly newsletters and an annual membership directory offer opportunities to establish contacts, exchange ideas, and gain both experience and information.